Turncoat and former Florida Governor Charlie Crist gave $1,000 to the congressional campaign of Patrick Murphy, a Democrat who is going to challenge fir the seat of Republican U.S. Rep. Allen West. Crist is showing his true colors and that it might have even been a stretch to call him a RINO. 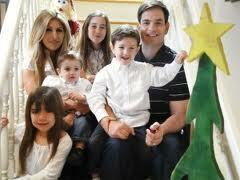 Crist is a failed Republican and Independent … now he is going to test the waters of the Democrat party. What a political opportunist. Former Republican-turned-independent Gov. Charlie Crist gave $1,000 to the congressional campaign of Patrick Murphy, one of the Democrats who has opened a campaign for the seat of U.S. Rep. Allen West, R-Plantation. 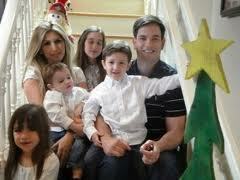 Murphy’s political consultant, Eric Johnson, was an adviser to Crist’s failed independent campaign for Senate last year. Crist, you can give all the money you want to Democrats, it still will not change the fact that you are a loser and got blown out by Marco Rubio in the Florida US Senate election in 2010. Republican and Tea Party favorite Allen West reported raising an eye popping $433,500 in the quarter. West is a politician with principle and conviction, which would be the anti-Crist. It would appear that Crist is continuing his political road to nowhere. Road to Nowhere … more like Charlie Crist’s political career to nowhere. Former Florida Governor Charlie Crist has settled his lawsuit with David Byrne, the lead singer of the Talking Heads for Crist’s unauthorized use of the song “Road to Nowhere”. The song was used during Crist’s campaign without permission. As part of the settlement, Davis Byrne forced Charlie Crist to record embarrassing apology for stealing Talking Heads song, watch the VIDEO here. Former Florida Gov. Charlie Crist has settled a lawsuit filed by Talking Heads singer David Byrne after Crist used one of the group’s songs without permission in a campaign ad last year, both parties confirmed Monday. Terms of the settlement were not released, but it included a recorded apology by Crist that was posted on YouTube Monday afternoon. Byrne had sued Crist for $1 million for using the song “Road to Nowhere” in a YouTube video attacking Marco Rubio, one of the governor’s opponents in the U.S. Senate race. Crist said Monday that he was pleased with the terms of the settlement and that Byrne “couldn’t have been a better guy” when they met last week to mediate the case. Charlie Crist, the once Republican turned Independent, but really wannabe pseudo Democrat lost to Republican Marco Rubio badly in the 2010 Florida US Senate race. A fitting end to a disastrous Senate campaign. 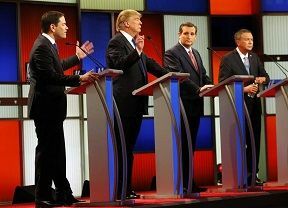 Florida Sen. Marco Rubio (R) said Monday that he has no interest in becoming his party’s vice presidential nominee in 2012. Rubio, a newly elected senator who’s considered a rising star in the GOP, rejected running on the Republican Party ticket in two years. 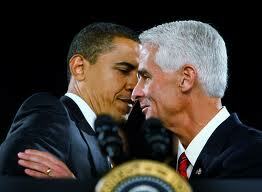 Is Charlie Crist a Possible VP Candidate for Obama in 2012 … NO! The Shark Tank asks the question, Is Charlie Crist a potential VP Pick…for Obama? To answer their question … NO!!! Why would Obama take on a turncoat Republican who has no idea if he is an Independent, Democrator RINO? Actually, Crist will be whatever makes it possible for him to retain some sort of government power. Believe it or not, in today’s political environment, one actually has to stand for something. In spite of assertions made to the contrary by Vice President Joe Biden, speculation continues to swirl around the possibility that President Obama will replace Biden on the 2012 Presidential ticket for someone with less of a propensity for gaffes as well as for a younger and more ‘moderate’ candidate in order to appeal to the thousands of disenfranchised ‘Independents’ across the country. Charlie Crist, once a very popular sitting Governor, finishes the year with a remarkable 50% approval rating-even after losing to Rubio by 19 points. Crist finished with 30% of the vote, while Democrat Kendrick Meek finished 3rd with 20%. This numbers are very telling when you consider that if Crist ran as a Democrat, and not just a Democrat-lite candidate, he would have garnered, at least 10-15% more of the vote and made it a fairly close election. What? If Crist ran as a Donkey he would have received 10-15% more of the vote? How naive an analysis is this? How could anyone presume that if Crist ran as a Democrat that he would have received the same amount of the Independent or GOP vote for that matter. If Crist ran as a Dem, many would have been upset that the Democrats abandoned Meeks and would have stayed home. Also, the GOP voters would have never voted for some one who completely switched parties where there was no whiff of independence. Also, why would Independents voted for some one who was not independent? Just a note to all who are on the get rid of Biden as VP bandwagon. Biden is not the problem on the ticket … OBAMA IS THE PROBLEM. How weak a president is Obama if those on the Left think that replacing the VP benefits Obama?